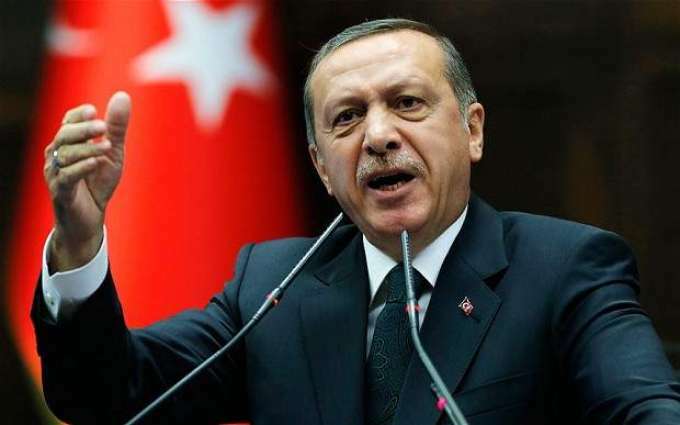 Turkish President Recep Tayyip Erdogan on Friday called for a global fight against rising Islamophobia like "anti-Semitism after the Holocaust" following the deadly attacks on two New Zealand mosques. The Turkish leader has presented the mosque attacks by a self-avowed white supremacist who killed 50 people as part of a wider assault on Islam and demands the West do more against anti-Muslim sentiment, reports AFP. "Just as humanity fought against anti-Semitism after the Holocaust disaster, it should fight against rising Islamophobia in the same determined fashion," Erdogan told a meeting of ministers from the Organisation of Islamic Cooperation in Istanbul. "Right now we are facing Islamophobia and Muslim hatred," he said. Erdogan said far-right neo-nazi groups should be treated as terrorists in the same way as Islamic State jihadists. On 15 March, alleged shooter Brenton Tarrant killed 50 men, women and children -- the victims aged between three and 77 years old -- and left dozens injured in an attack that sparked global revulsion. He livestreamed much of the attack and spread a manifesto on social media claiming it was a strike against Muslim "invaders". New Zealand's government on Friday reassured Muslims living in the country they would be "safe and secure" despite the deadly attacks in Christchurch. "Ensuring Muslim communities in New Zealand feel safe and secure is a particular focus," New Zealand Foreign Minister Winston Peters told the OIC meeting. Peters said New Zealand authorities would make sure "no stone stays unturned" in the prosecution of the attacker. "This person will face ... the New Zealand law and spend the rest of his life in isolation in a New Zealand prison," he said.